The Spyway Inn was purchased by Mark & Laura Watson. first time buyers in the sector. who comment, “We fell in love with The Spyway Inn from the moment we stepped into the garden. 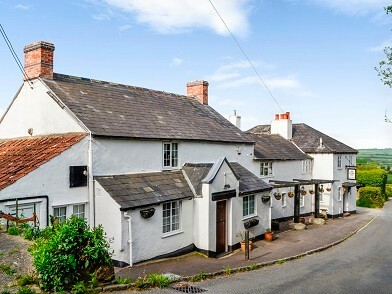 Not only are the views breath taking but the pub, built in the 1600’s, has so much charm and character that it would be a shame to take any of that away. We aim to remain the friendly, family run business that it has always been with the addition of you being able to bring along your four legged friends!